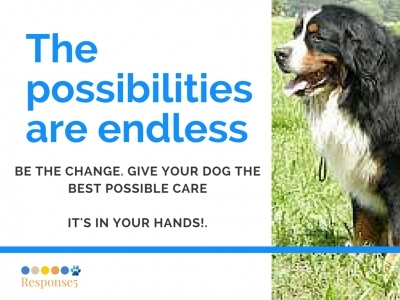 You've just discovered the secret to restoring your dog's mobility health! A powerful & personalized online training program guiding you every step of the way! She's family. Learn to love her in a way that heals. 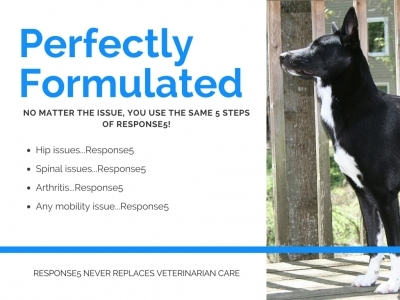 Looking for an answer to your Dog's mobility health? 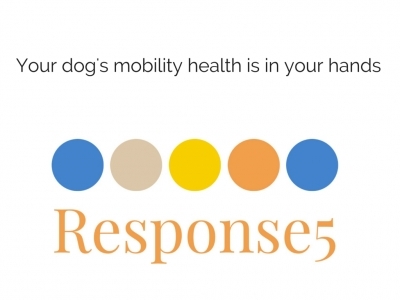 Response5 teaches you in as little as one day, how to use your hands to create lasting neurological change in your dogs health! Backed with 10 years of in-depth study and proven results! 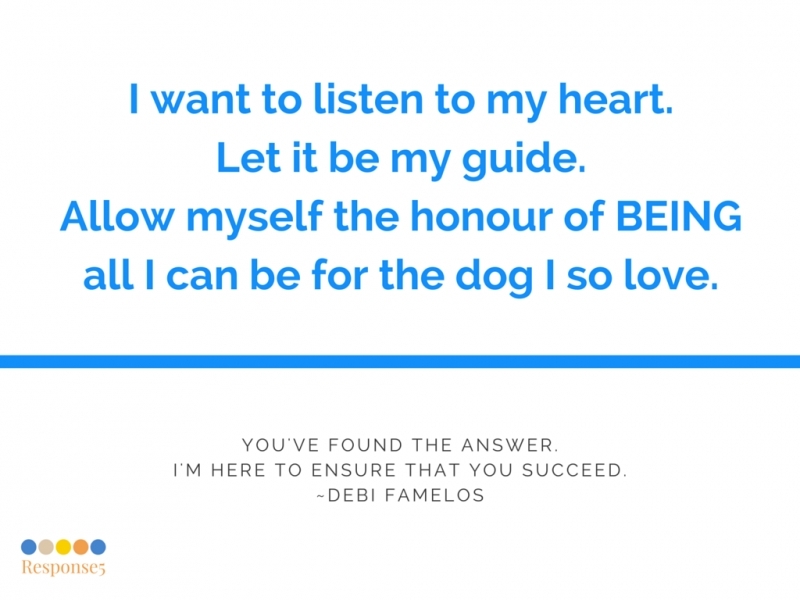 Guided by Debi and her vast experience and passion to ensure that your dog’s mobility will have profound positive changes. Designed to have you applying Response5 within the first day! Simple to learn. Easy to apply. Why it Works? It’s directly Neurologically based. We’re not looking for relief, we’re looking for physical change! People just like you are applying Response5 and seeing Incredible results with Degenertive Myelopathy, spinal cord injuries, weak back ends, arthritis, and so much more! 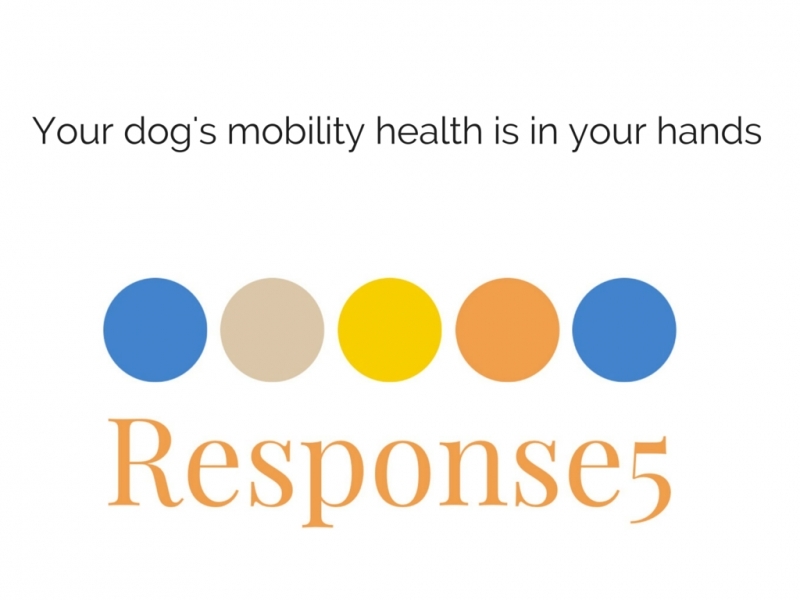 Response5 is the "SUPER POWER" mobility restoration you've been searching for! Check out your Instructors Private Practice and see why your just one step away from helping your own animals! Your results with your own dog will be so profound that you'll want to become an Animal Bowen Practitioner! Oh Debi, thank you for this gift of Bowen Therapy. I was out walking my dog this morning and Rosco's mom rushed over to tell me that Rosco has had big improvements since the last session. Her kids were home over the holidays and expressed that they saw a big difference. He has not fallen or slipped in the house and is much happier. He is also getting up the stairs with less assistance! 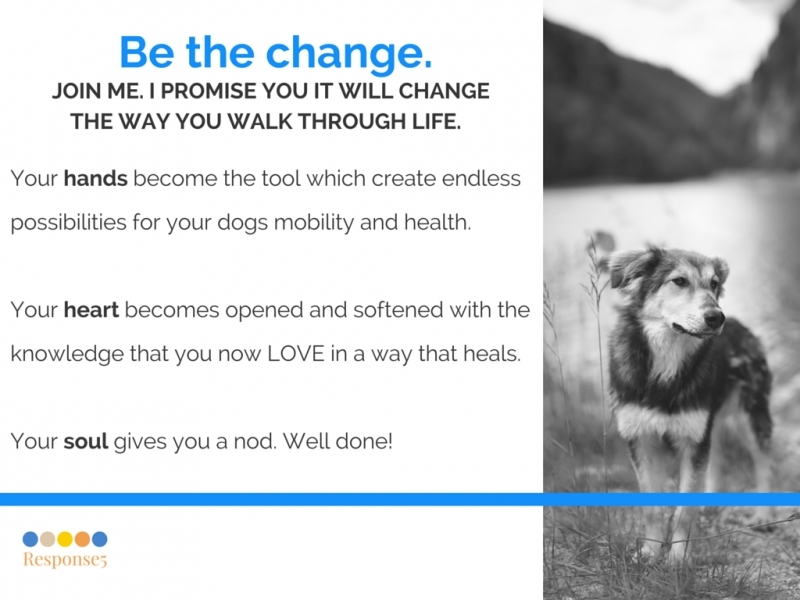 I am so thrilled to be part of helping animals and their families live a better quality of life.Thanks again and I look forward to the next steps!!! As a Certified Bowen Practitioner I had already the full trust in the Bowen Technique however seeing how well dogs respond to Bowen it increased by trust and belief in Bowen to another level. It is not only getting the satisfaction and pleasure on watching the dog heal as you are treating them it is also seeing how much dogs love getting the treatments. Once they have had one treatment and you start the second treatment they seem to give in immediately and start enjoying the moves. I know two of my dogs just melt as soon as I start treating them. I am so looking forward in taking the next level of the Canine Bowen and look forward to being certified so that I could help other dogs to get feeling better so they too can enjoy their life. I want to take this opportunity in thanking you Debi for all the effort that you have put into this wonderful online Canine Bowen course. I was so glad to see that this was now available to us in Canada. I have been searching all through my Human Bowen course on how and where I can take the Canine Bowen. My passion for dogs is so strong and I did not want to only treat people with Bowen I always wanted to also have a clinic for Canine as well and now my dream has come a reality All thanks to you so THANK YOU so much for all of your efforts and also to be readily available to me. This has been a great experience ! Response5 is well formatted site, clearly explained with excellent communication with the Instructor. I've experienced amazing results immediately following Response5 sessions. I teamed up with a Golden Retriever of 14 1/2 years recently had an episode of vestibular dysfunction and was literally flat on the floor for seven days. Prior to this, his hind legs were not always cooperative going up and down stairs and his tail had lost its wag. Early on during his confinement, I went to give him a Response5 treatment. Fast forward 7 days. He was up on his feet and moving better than before! Once he had regained his sense of balance and strength, he was determined to go up and down stairs. He can do so much better than before the episode. He literally runs down the yard now. I am convinced that the Response5 treatments followed by almost a week of inactivity have been key in his recovery and overall improvement in mobility. My love and passion has always been with dogs. My dream is to someday have acreage and to provide a safe haven for dogs and donkeys. Right now I am helping my dog Molly. I have seen a noted increase in her energy! 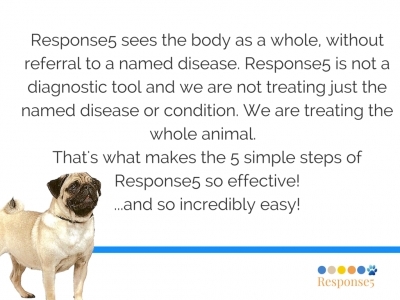 I have to tell you, we've been using Response5 with Lily Ann who had 3 surgeries on ligaments since just before Christmas, and I really believe it’s making a huge difference in healing. A definite increase in energy! Less stiffness and a much calmer demeanour. The 5 steps of Response5 are life-changing and easy to execute! A nice blend of reading/pictures/video's. 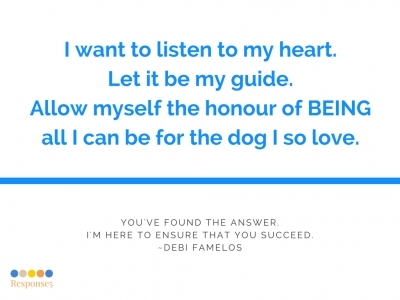 Debi was very easily available and very good at answering any queries along the way. I felt as though it was more of a stabilizing effect with him ( has DM) as I did not see him get any worse off than what he already was. I did notice he started to stretch his legs a little bit here and there which was good. I was so impressed with the results Response5 delivers! 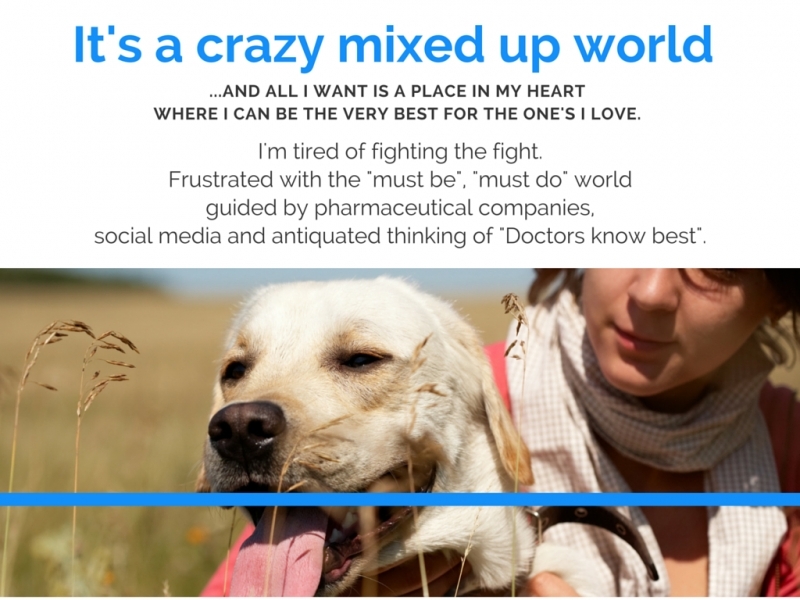 My favourite result was helping a family avoid costly and painful surgery by helping to completely resolve their dog's issues. ~ gives meaningful change to dog's and their family! Peanut is a 7 year old Australian Terrier who was paralyzed in the back end. After two sessions of Response5 he was getting up: walking but still wobbly. After 4 sessions he was walking steady on his own. Response5 was easy to learn! I found the added silent videos showing each step in slow motion very helpful! I recently had a couple from Illinois U.S.A. sign on for Response5. At the time, I had no idea why. Here is a short BEFORE video that they sent to me. And AFTER, applying Response5 for 5 sessions. 5.He is not leaking and has greater bowel control! This is pretty remarkable considering that within the last 3 years he has 95% hearing loss, cancer, serious heart condition (he takes medicine for this three times a day), and lastly but not least… degenerative myelopathy. What makes me smile about this story, is that it is a husband and wife team with no previous idea of what Response5 was!!! ...learned and applied out of pure love for their dog. I'm thrilled to offer this easy to learn technique to the world! Learn It Once. Create Change For A Lifetime! 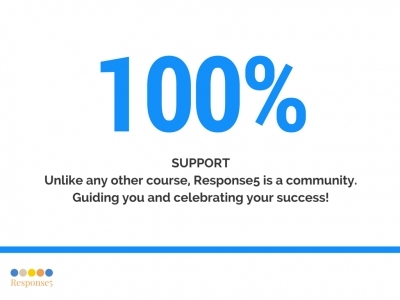 Subscribe today↑~ Receive your FREE Response5 Sample Lesson and Exclusive Discount Code! 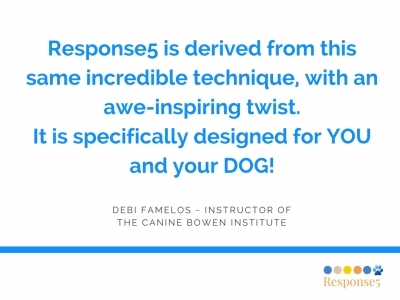 I had recently caught wind of Response5 and was so excited to work on my aging dogs that I signed up for the class right away. My dogs were a little unsure of my first couple of touches, but it didn't take long for them to settle down and enjoy their Response5 session. They have more energy than I've seen in several years. We live on a ranch where they get to run around and act like much younger dogs all over the place again. Every time I get out their mat to work on them, they are so willing and very ready for this, they come over and happily lay down. I enjoy seeing their reactions during the session, such as licking a paw., a response for a nonverbal dog to show you how fast things are working. After their sessions, they take a long enjoyed nap. This also shows how their bodies are processing and switching to the parasympathetic state, when the body best heals. Debi has been very helpful the entire time. I have lots of questions and she responds with a gentle and knowledgeable demeanor and in a timely manner. I'm so thankful for her knowledge and that she was willing to put Response5 in an online format that was easy and enjoyable to learn. My dogs are happy for this as well! 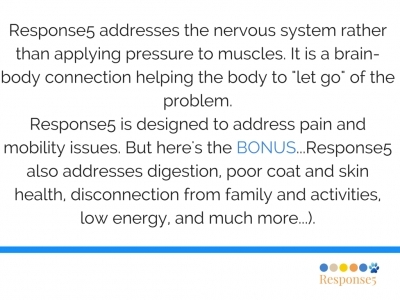 Response 5 is a unique technique, painless, and extremely effective. Since the first treatments I have seen the first positive effects. Every animal would need it, because it does not work only on the body, but also on the motive (behaviour) part, so it is a complete method and this excites me. I thank Debi for this skill, professionalism and love, in teaching this technique. I'm urging anyone to add this skill to your life! Out of desperation to help our aging dog with Degenerative Myelopathy, I signed on to Response5. Within 3 weeks my wife and I were seeing noted differences. Better stability, less hesitation walking on the hardwood floors and a definite increase in energy.Debi's generous support was incredible! I've been wanting to learn bowen for animals ever since I finished the (Human Bowen) course in 2004, so you can imagine how happy I am to be able to do that now! Planning to be the first certified canine bowen practitioner in Greece and thanks to you, I'm on my way!! GSD with DM.Tobi has more energy now. He is "running" at times in his wheelchair on our walks. He appears to be stronger- standing longer, more stable when standing, walking on his own more often, stretching more than he has in the past 3 months. When walking him around in his harness he is still fairly wobbly at times. He seems to have good days and not so good days (I wouldn't say he has "bad" days). Some days he is more wobbly than others. I'm not sure if the exercise the day prior plays a factor. Some days I find he really places his feet under his belly when he walks, which causes him to really lose balance when walking. Other days I'm hardly stabilizing hom in his harness when he walks. As I mentioned a few times prior, Tobi was steadily declining each week. Since his Response5 it appears he has stabilized and I would say he is stronger, has more energy and has a bit more stability. We are going on 20-30min walks (in his wheelchair) twice a day now. Prior he was doing about 10 mins twice a day. I've seen a big change in his moral. You've been a blessing to us as I feel somewhat abandoned from our vets here. One has not been in contact with us since Oct (they told me he 100 percent doesn't have DM, but rather he has arthritis in his spine). The other vet of ours has been in contact, but is only offering medications. Since we have been in contact with you, so much has changed for the better. Watching Tobi decline so quickly each week was emotionally exhausting, especially with not being able to help him. Since communicating with you, our days are not doom and gloom. We just go about our days as we did before! He seems much happier and of course that me happy! Thank you so much for taking the time for us! It would have been quite impossible to go and study Bowen therapy either in the UK or Australia but to my great delight I discovered Canine Bowen Therapy online studies. Initially I was a bit skeptical re studying something so hands-on via internet. But actually the study videos and instructions are very clear. I especially liked the way the videos were constructed- toy dog, a live dog and a student with various questions. 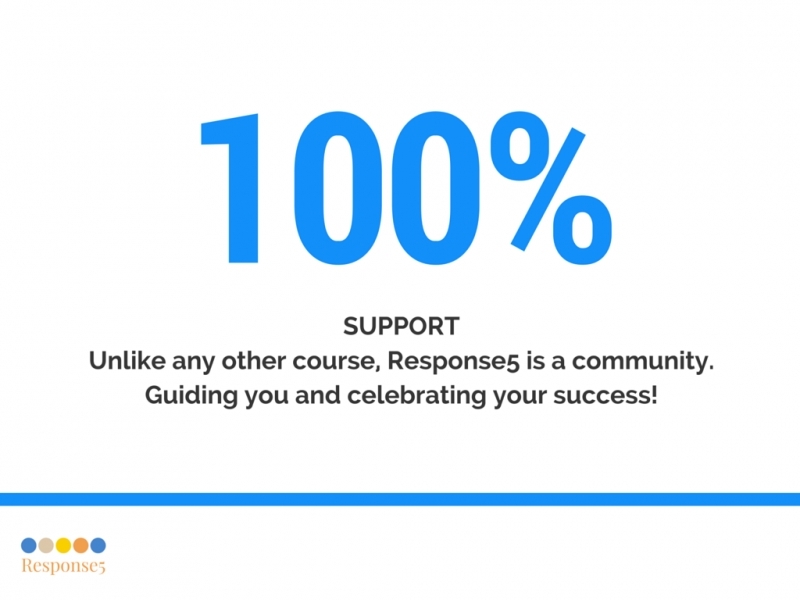 Response5 was very helpful and would really like to proceed to the next level. I've always had a respect and connection with animals since a young child and appreciate the openness they have to everything within healing. I've taken many courses to help me better care for the animals that come through my life. 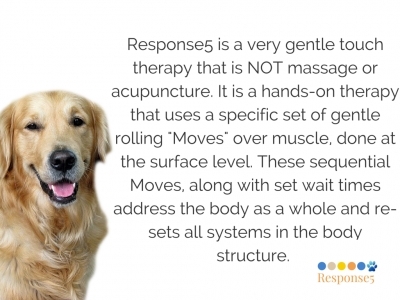 After researching Canine Massage I came across Response5 and was more attracted to this modality. 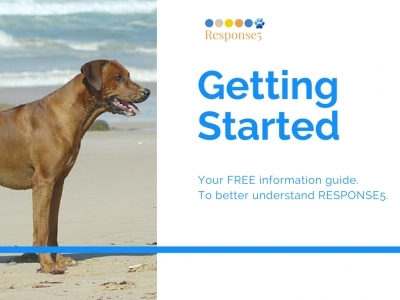 I feel that everyone can benefit from Response5! When you have Response5 in your "tool box" you'll never have to wish there was something you can do for your animal friends in need! decrease and prevent pain and increase for quality of life. I found the online experience easily understood, I felt confident in doing the technique. There was great description and explanation with each step! 5 simple steps, yet sooo effective! Zoey had 2 ACL surgeries in the last 3 years and had very poor mobility. She was so accepting of me using Response5. Her family saw differences every day. It was so amazing to hear the success she was having with Response5! 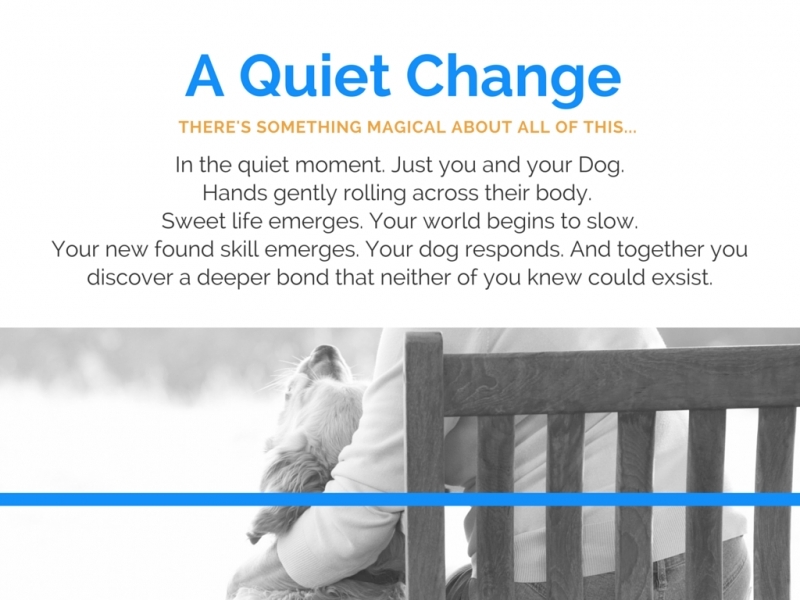 I noted mood changes, mobility changes and an overall happier dog! For the first time since I was a child, a dog came into my life. 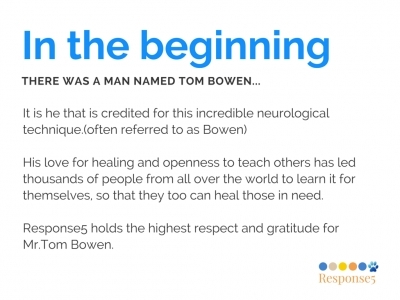 As a human Bowen Practitioner I am aware of the wonderful benefits of Bowen on the mind, body and spirit of a patient. I want to extend this to the Canine family member(s). 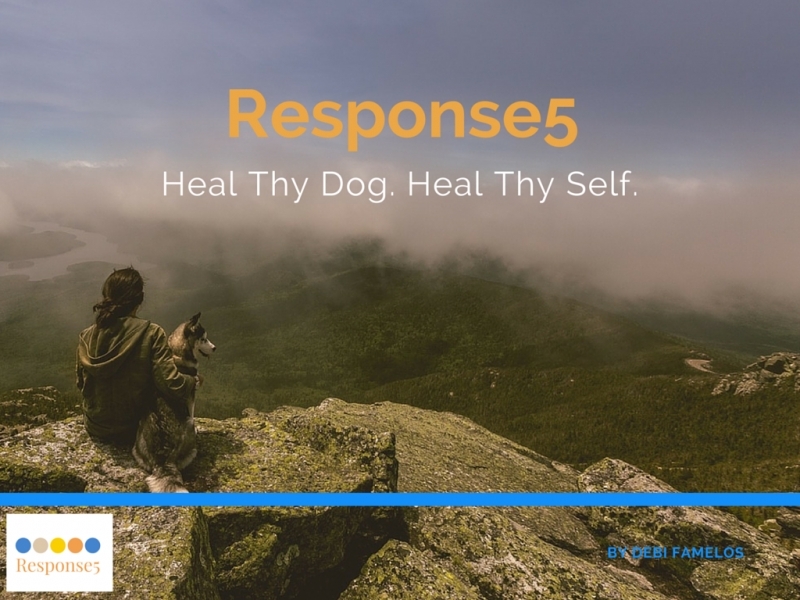 I would recommend you take Response5 to develop a deeper relationship with your animals and to help to restore and/or maintain good health. My 17 year old cat was sleeping all day and didn't like to be touched. After 1st. session: 2 days later my cat began to play like she was 10 years younger! After 2nd. session: Still playing and desiring to be touched "pet" now! Such an amazing tool to have to help animals! ~ videos are well done! I always wanted to be a Vet.